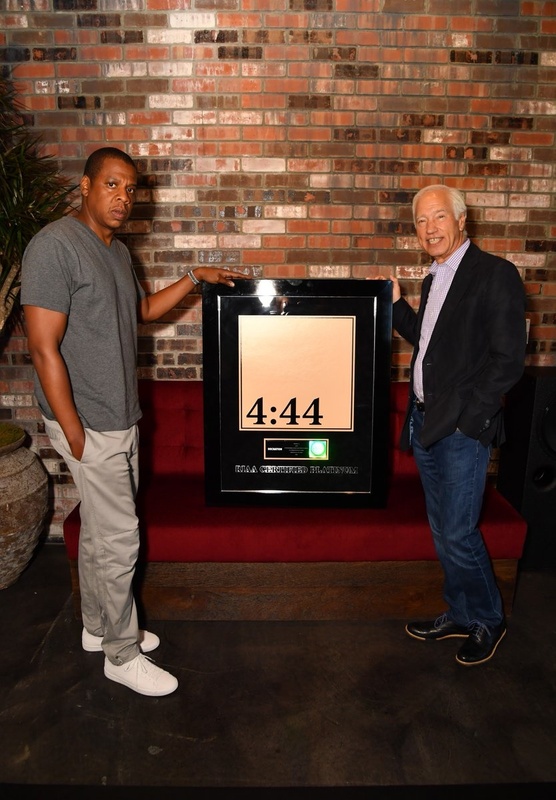 Jayz breaks record with 4 44. Less than a week after he released his 13th studio album "4:44," Jay-Z released three bonus tracks to the platinum-selling album. On one of the tracks, 'We Family' which featured Hov and his daughter Blue Ivy, he references Benin, Lagos, Fela and a Nigerian name ‘Dapo’ in the song. "I got bloodlines in Benin, that explains the voodoo"
Already ahead of your end, in the foreign bumping Fela, feel me?" Lagos, all the barrios ’round me, feel me?" Colombian ties, shout out to Dapo!" Jay-Z and Beyonce's affinity for Africa and Yoruba culture, with Beyonce’s Lemonade album containing elements that pay tribute to the Yoruba goddess Osun. Also her recently African-themed baby shower also had Fela’s music as part of it’s soundtrack. Less than a week after its release, Jay-Z's "4:44" has already been certified platinum. Could D'Banj be the 'Dapo' he was referring to?